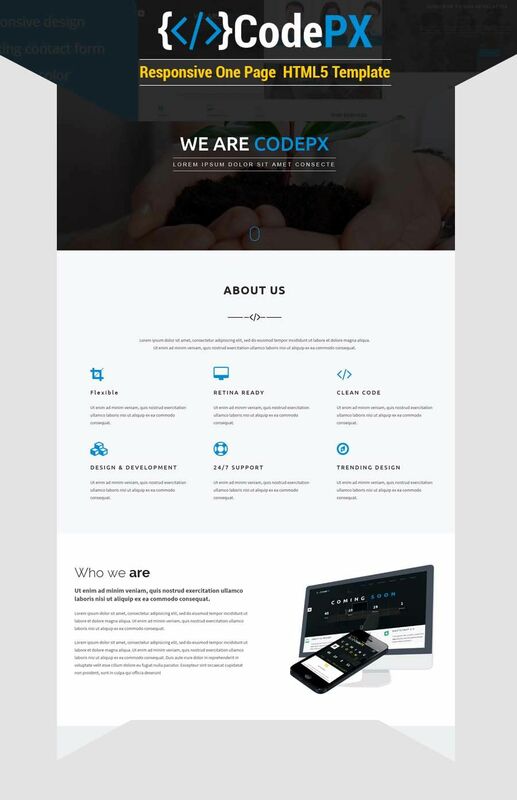 CodePX is a creative, professional, responsive HTML5 one page template. It has been built using the latest Bootstrap 3.x framework, So it’s responsive (mobile first), flat and very nice animated. and can be easily and rapidly customized. Moreover, this theme can be adapted to any kind of creative company. And it has ready to use contact form, tweets, and subscription forms.